Assessment of the Potential Impacts of Hydraulic Fracturing for Oil and Gas on Drinking Water Resources (External Review Draft) | EPA’s Study of Hydraulic Fracturing for Oil and Gas and Its Potential Impact on Drinking Water Resources | US EPA. Wastewater treatment and waste disposal – the reuse, treatment and release, or disposal of wastewater generated at the well pad, including produced water. This report can be used by federal, tribal, state, and local officials; industry; and the public to better understand and address vulnerabilities of drinking water resources to hydraulic fracturing activities. EPA’s Study of Hydraulic Fracturing and Its Potential Impact on Drinking Water Resources | EPA’s Study of Hydraulic Fracturing and Its Potential Impact on Drinking Water Resources | US EPA. 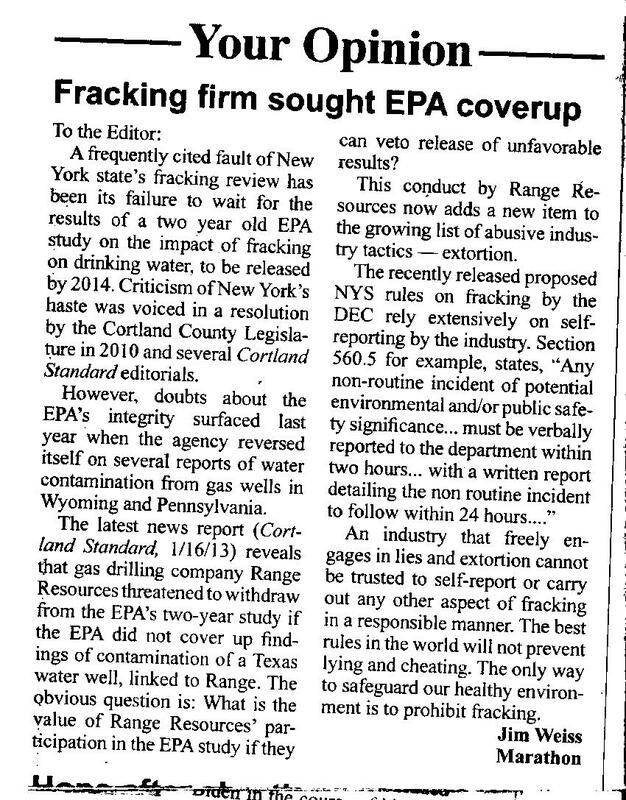 Lack of partners holds up EPA study on fracking, water wells | TribLIVE. Scientists slam US DOE fracking panel make-up on eve of release of report – Natural Gas | Platts News Article & Story.